I used to be a turtle in Dark Souls, then Bloodborne came along and forced me dangerously far out of the comfort zone of my preferred style of play. It changed everything, including the mainline series itself. Bloodborne, of course, is not a proper narrative relation to From Software’s megahit Dark Souls, but its blood mingles so closely to Hidetaka Miyazaki’s original, challenge-filled design template that began with 2009’s Demon’s Souls it’s essentially still a Souls. 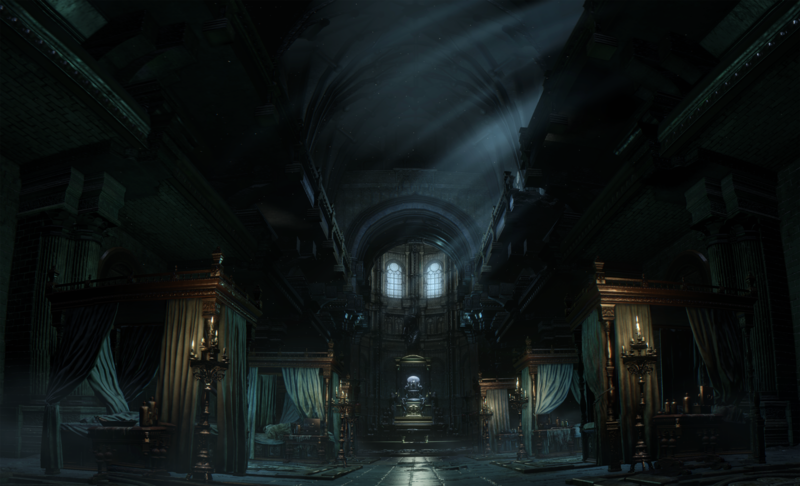 It’s the differences that make Bloodborne shine, though: its baroque and intoxicating Victorian horror premise, as well as how strategic use of firearms, lack of shields and generally more cloth-based period dress made evasion a vital factor in your survival. In fact, the rare physical objects in Bloodborne capable of blocking the fury of an enemy attack are weak and terribly ineffectual, capable of little more than minor deflections from start-of-game foes. Finally, deranged, beastly townsfolk and other horrors tend to travel and attack in packs; they are faster, more erratic, and more vicious than the tenor of enemies seen in previous games. They force you to stay on your toes, darting in and out of danger with frequent, strategic dodging, mentally juggling the location and address of any given number of assailants while simultaneously weaving between their ranks. Dark Souls 3, developed more or less in tandem with Bloodborne, cribbed quite a bit in feel from its faster, more nerveracking cousin. Instead of sheer panic — you were effectively little more than naked (a false worry, but one that feels like a psychological cage during Bloodborne’s initial hours) — monster slaying proficiency as a Yharnamite made DS 3 feel dangerous even for series vets. It was clear that, with the game’s release in March, the days of simply hanging back as enemies slowly strafed back and forth and stared you down without any rash movements were over. The Lothric Knights, found in DS 3’s first major area, are probably the best example you encounter early on. Like any good knight build worth its Souls salt, these lanky, sevenish-foot-tall monstrosities fight with fervor; they’ll circle and goad and try to bait you into a combo that saps your endurance, then hammer away when you’re at your most vulnerable, usually after your shield can sustain just a couple of blows. It seems an obvious pull from Bloodborne; the knights are too calculated (still exploitable, but also just as readily fall prey to) in how and when they decide to go on an extreme, aggressive offensive when they see an opening. If you don’t play your cards right in these opening battles, when your levels are still relatively low — or alternately, if you psyche yourself out and move at too deliberate a pace — they’ll rip you apart in a matter of seconds. Rather than poking a large weapon out from behind the safety of a huge barrier, you’re forced to get up and close and personal, and given DS 3’s inclusion of new special stances, the speed at which the A.I. will try to catch you off guard with different strategies can be deadly quick. Naturally, as the game goes on, you’ll encounter a number of variations for use here, but the design doesn’t waver. When I started DS 3, my 100-plus playthrough of Bloodborne had left me prepared for something entirely new; as a result, I didn’t opt to use a shield much at all. For me, the challenges and exhilaration of intuiting just when to dodge were their own reward. And since the end of DS 3’s extra content marks the close of the series, at least for the foreseeable future, it’s worth remembering that without the nightmares of Yharnam, Souls-proper might have ended on a dim note. I’m glad it didn’t.